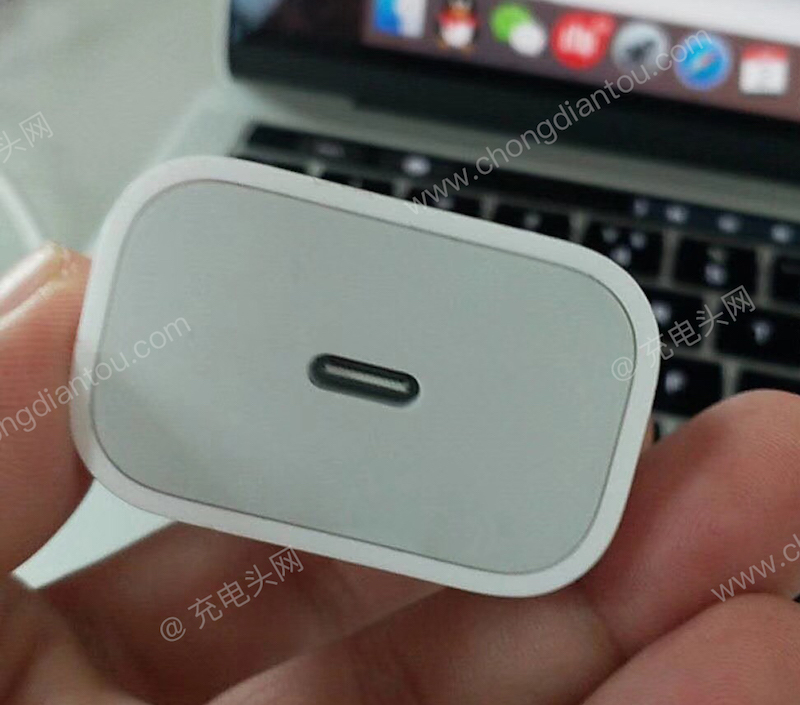 New photos show what could be an engineering prototype of Apple‘s rumored 18-watt USB-C charger. Several recent rumors and CAD renderings have led credence to the notion that Apple might indeed be planning to release a USB-C charger at some point later this year. USB-C technology would allow for users to charge their devices much faster without requiring the purchase of separate accessories. Now, new photos from Chongdiantou (via Mac Otakara) appear to be photos of the real thing (the U.S. version, at least) but as is usual with these sort of leaks, the prototype’s legitimacy cannot be confirmed at this time. As far as design goes, the charger fall in line with what one might expect from the Cupertino company, featuring the classic white-and-grey colorway with simple lines and softly-rounded edges, much like Apple’s current 5-watt iPhone USB charger. The text inscribed on the back of the charger doesn’t fall in line with Apple usual markings on its current products, but this could be blamed on the notion that this is just a prototype model. 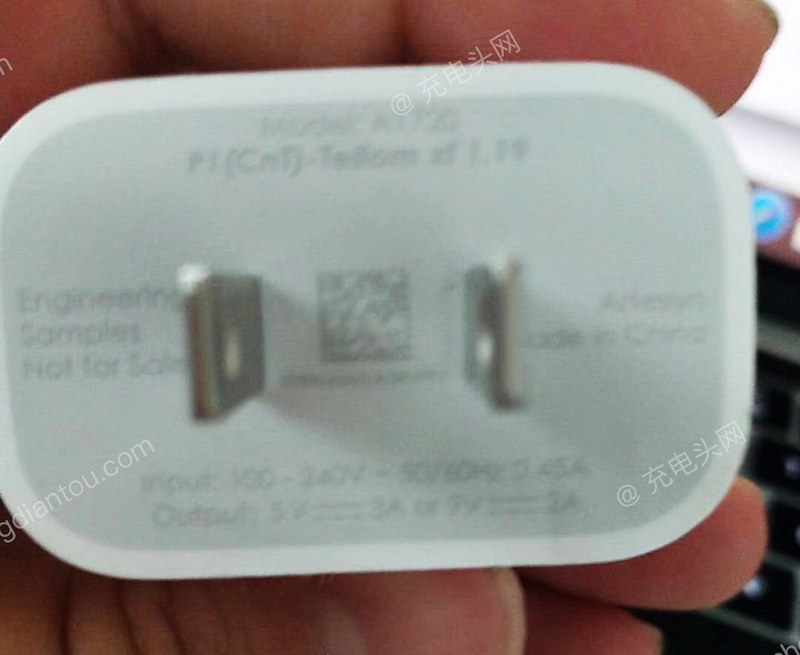 According to the photos, the charger’s model number is A1720, which is indeed Apple’s model numbering scheme, and the text reads that the charger has output up to 5V at 3A (15W) or 9V at 2A (18W). 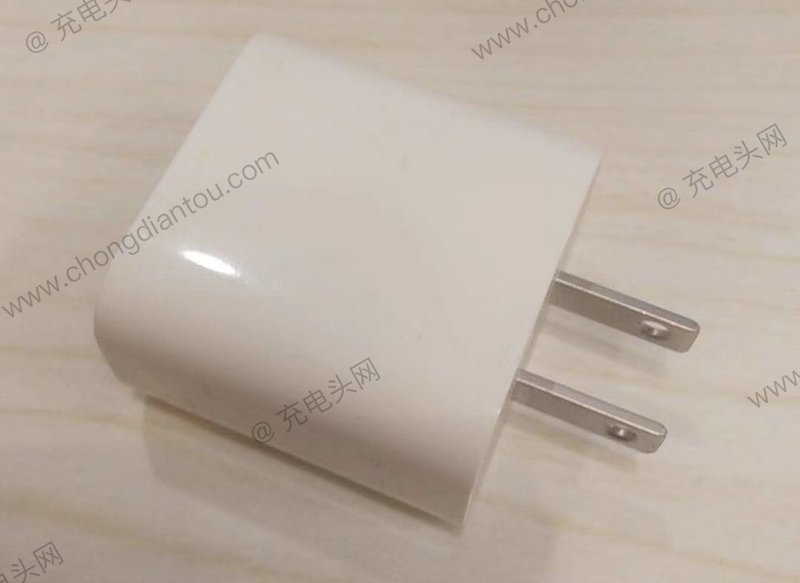 According to recent rumors, Apple will be including this more powerful charger with its upcoming iPhone lineup later this year, although one has to imagine that it would also include it with upcoming iPad models, which generally come with more powerful chargers.